Moto G6, Xiaomi Redmi Note 5 Pro, and Asus Zenfone Max Pro fall in the same mid-range segment as they compete to offer great value for money to buyers in the Sub 15k price range. Starting with the latest Moto G6, it is the successor to the high selling Moto G5s, and it is available for Rs.13,999 for 3 GB RAM with 32GB internal storage version in India. Moreover, the phone is launched on 4th June and will be available exclusively from Amazon India. Notably, the G6 is even available in 4 GB Ram and 64 GB model for a price tag of Rs. 15,999. 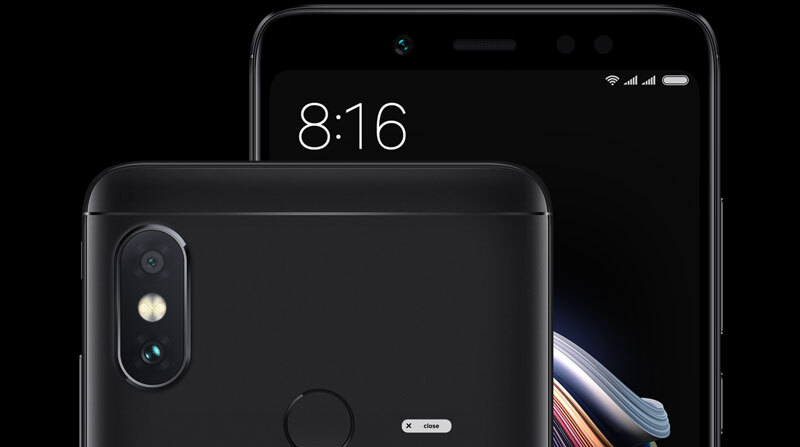 Talking of Xiaomi Redmi Note 5 Pro, it is an enhanced and more powerful version of Redmi Note 5 and comes with features such as a dual-camera setup, Snapdragon 636 processor, an iPhone X like design. Redmi Note 5 Pro comes in two variants, and costs Rs.13,999 and Rs.16,999 for 4 GB and 6 GB RAM model respectively. On the other hand, Zenfone Max Pro M1 is Asus’s best bet against the rivals in this segment, as it comes with a highly capable Qualcomm Snapdragon 636 Octa-core processor with a gigantic 5000 mAh battery that is second to none. Zenfone Max Pro M1’s comes at Rs. 10,999 , 12,999, and 14,999 for 3GB/32GB, 4GB/64GB, and 6GB/64GB variants respectively. The 6 GB RAM version is yet not available in the market. Let’s compare the three phones, and find out where they stand against each other. For starters, the Moto G6 comes with bezels thinner than any other G series iteration before. It features a new 3D glass design covering its back. The Redmi Note 5 Pro has a metallic back which is rounded with the plastic parts on upper and lower edges. The camera placement and overall design make it mimic the obnoxiously expensive iPhone X.
Lastly, the Asus Zenfone Max Pro carries a 2.5D curved glass display and has a body made out of metal. Moto G6 has a fingerprint scanner placed on the front, just like last year’s model. Whereas, both the Xiaomi Redmi Note 5 Pro and Asus Zenfone Max M1 come with fingerprint-sensor on their back. Also, each phone has a different feel in hand, although they are too big for one-handed usage. Notably, the Moto G6 comes with splash resistant design while the other two doesn’t have any water protection. All three phones have displays that exceed the earlier 5.5-inch market standard. To begin with, the Moto G6 has a 5.7-inch IPS LCD screen which comes with a resolution of 1080 x 2160 pixels with 424 PPI pixel density. Also, it has a Gorilla Glass 3 protection. On the other hand, Xiaomi’s Redmi Note 5 Pro trumps the Moto G6 with its sheer 6-inch screen that utilizes an IPS LCD panel at a resolution of 1080 x 2160 pixels. Although, the pixel density is a bit lower at 403 PPI, in comparison to the Moto G6. Of all the 3 phones, display of Asus’ Zenfone Max Pro is the most appealing. As the company claims, it has a contrast ratio of 1500:1, while its display measures 6 inches diagonally, and comes equipped with Full HD+ (1080 x 2160 ) IPS LCD panel. On the flip side, it lacks Corning Gorilla glass protection and is prone to micro-scratches. Because it has a better contrast ratio, Asus’s device has a display which is much more vibrant than Moto G6 and even the Redmi Note 5 Pro. All three phones in the comparison come with an 18:9 aspect ratio. Furthermore, All the three devices have a dual-camera setup on their back. The Moto G6 boasts of a 12 MP (f/1.8) + 5 MP (f/2.2) primary shooter with PDAF and dual-tone dual-LED flash for taking pictures in the dark. The Redmi Note 5 Pro features a 12 MP (f/2.2) + 5 MP (f/2.0) rear camera setup that takes nice portraits in the dedicated mode, depending upon the lighting. Asus’ device, Zenfone Max Pro comes higher in terms of resolution with a 13 MP (f/2.2) + 5 MP (f/2.4) camera module equipped with phase detection autofocus and LED flash. Moto G6’s selfie-camera is nothing special to talk of, as it has a 16-megapixel shooter with a f/2.2 aperture with an LED flash, capable of recording 1080p videos. Redmi Note 5 Pro, on the other hand, raises the bar to a new high with its 20-megapixel (f/2.2) selfie-camera. Such a high resolution makes selfies more zoom-able without pixelating them. Asus Zenfone Max Pro also follows the conventional system and offers an 8-megapixel (f/2.2) front camera that takes decent photos and also comes with a front LED flash. Moto G6 comes with Android 8.0 Oreo out of the box and gives almost stock-android like experience to users, just like its previous iteration have been doing. Whereas Redmi Note 5 Pro runs on Android Nougat 7.1.2 with Xiaomi’s own MIUI 9 on top of it. It offers a whole lot of customizations that the user can set according to the needs. Lastly, the Asus Zenfone Max Pro runs on nearly stock experience with some features from ZenUI on top of Android 8.1 Oreo. The ZenUI gives users more of a customized experience depending upon the user preferences. Asus Zenfone Pro packs a Qualcomm Snapdragon 636 Octa-core processor clocked at 1.8 GHz alongside Adreno 509 GPU. It offers 3 GB, 4 GB RAM options 32 GB and 64 GB inbuilt storage variants, that can be extended to 400 GB using a dedicated micro-SD card slot. Moto’s G6 doesn’t fall behind in providing similar storage specs. Moto G6 comes equipped with 3GB/4GB RAM options with 32 GB and 64 GB internal storage options. Where the Moto G6 lags is the processor which is no match for the rivals. It utilizes a modest Snapdragon 450 Octa-core processor with clock speed of 1.8 GHz coupled with Adreno 506 GPU. The storage is expandable up to additional 256 GB using a microSD card. Lastly, the Xiaomi Redmi Note 5 Pro runs on a processor similar to Asus’. It comes with a Qualcomm Snapdragon 636 chipset with a 1.8 GHz clock speed. It comes in 64 GB storage options with 4/6 GB RAM, while the storage can be expanded up to 256 GB using the second sim card slot. Asus Zenfone 3 Pro takes the crown as a battery-life king among the three with its amazing huge 5000 mAh Li-Po battery that is non-removable and supports 10W fast-charging. Follows it, the Xiami’s Redmi Note 5 Pro with its 4000 mAh battery which offers good enough usage on a single charge along with Quick Charge 2.0. Lastly, Moto G6 comes third among the above rivals with its 3000 mAh battery with 15W fast-charging nonremovable battery that offers much lesser use-time, especially in comparison with the Asus’s device. Each phone among these 3 come with its distinctive features, as well as drawbacks. Xiaomi has been expanding its line-up with many new devices lately and has made a large enough fan base in India. Redmi Note 5 Pro appeals to the masses that are loyal users of the brand. 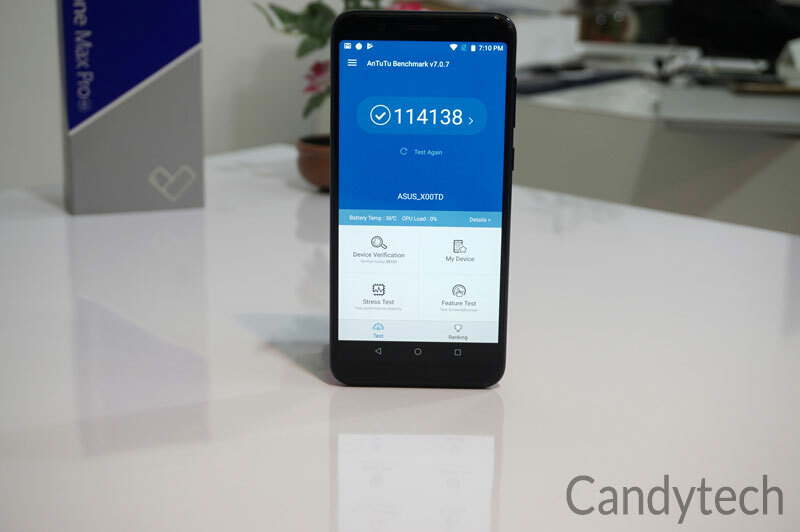 Moto may have lost its charm with time, but it provides excellent Stock Android experience at a competitive price in the market. The number of users looking to buy a device for stock Android experience may consider buying Motorola G6. Whereas Asus’ device comes with long battery life, fluid performance, and other perks. Its good camera, easy to navigate interface may offer good UI and can prove to be a good rival to the oppositions. Also, Asus Zenfone Max Pro M1 costs Rs. 10,999 for the 3 GB Ram and 32 GB storage which makes it the most affordable option. Those looking for best value for money will go with the Zenfone Max Pro M1 or the Redmi Note 5 Pro in the respective segment. Another important thing to note is that the Moto G6 comes with a Snapdragon 450 processor which is no match for the Snapdragon 636 used in the other two phones. Performance enthusiasts who want a snappy device may not like the Moto G6 as it is not a match for the rival phones. 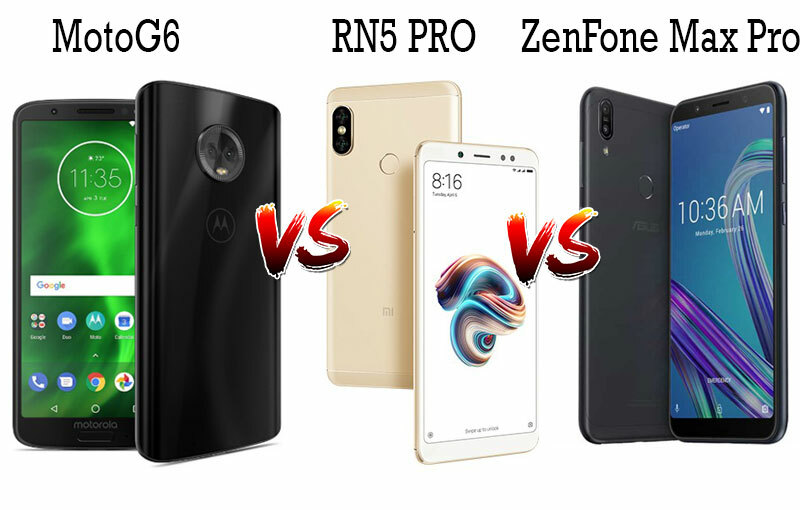 If you ask me which one will I pick up, I will go with the Zenfone Max Pro M1 or the Redmi Note 5 Pro due to the reasons stated above. Previous article1, 2 TB Seagate and WD Drives for Rs 1500 on Amazon? Possible Fraud?